The date was Apr. 4, 1896. It was set to go down at San Francisco’s Armory Hall at 3 p.m. The first ever intercollegiate women’s basketball game was to be played between the biggest West Coast rivals — Cal and Stanford. Donning white sweaters and blue boomers, the women went into the matchup with nothing more than a few weeks of practice under their waistbands. With a large gathering of community members in the hall, it was a tightly contested contest from start to finish. Cal and Stanford were tied at the half, but the women in cardinal pulled away in the second half to win. The final score was 2-1. While Cal’s performance that afternoon may have gone down as a loss in a stat book, it was a victory for the world of sports. It would require 77 more years before Cal women’s basketball played its first season, but that first matchup laid the foundation from which progress was built. These women were among the first to push the envelope, and when they did, they discovered a hall full of community members that showed out on that fateful Saturday afternoon. Over time, Berkeley would become home to some of the top female athletes in the country. Providing a strong education to primarily local residents, Cal was the alma mater for individuals such as Hazel Hotchkiss Wightman, the “queen mother of American tennis,” who graduated in 1911 and carved her career out on at the university. 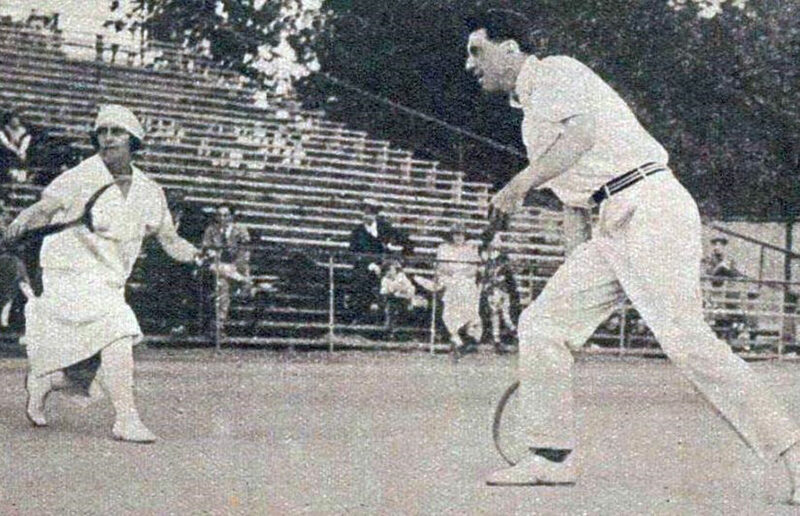 Among Wightman’s many accomplishments is founding the Wightman Cup — a tournament between the British and American women’s tennis teams — and winning 17 Grand Slam titles. Like the women of the first basketball team, Wightman showcased athletic ability, but more importantly, she demonstrated that tennis was just as much her sport as anybody else’s. By owning the court and defying expectations, Wightman exemplified what it meant for a woman to be an athlete. Another tennis player who followed Wightman’s steps was Cal alumna Helen Wills, who won her first major title in 1923 at the mere age of 17. Nothing would hold Wills from going further as over the course of her career, Wills would win 31 Grand Slam titles. UC Berkeley’s first female basketball and tennis players’ commitment to their sports ultimately paved the way for Cal’s countless Olympian pioneers today — from Alex Morgan and Brandi Chastain to Dana Vollmer and Natalie Coughlin. Cal first opened its doors to students as an academic institution. As women began getting involved in sports, universities slowly developed athletic departments to include women’s teams. But if it weren’t for Wightman, Wills and the Bears’ women’s basketball team of 1896 — as well as many others who had the passion and gall to exit the social norm — Cal Athletics may have looked far different from what is today.